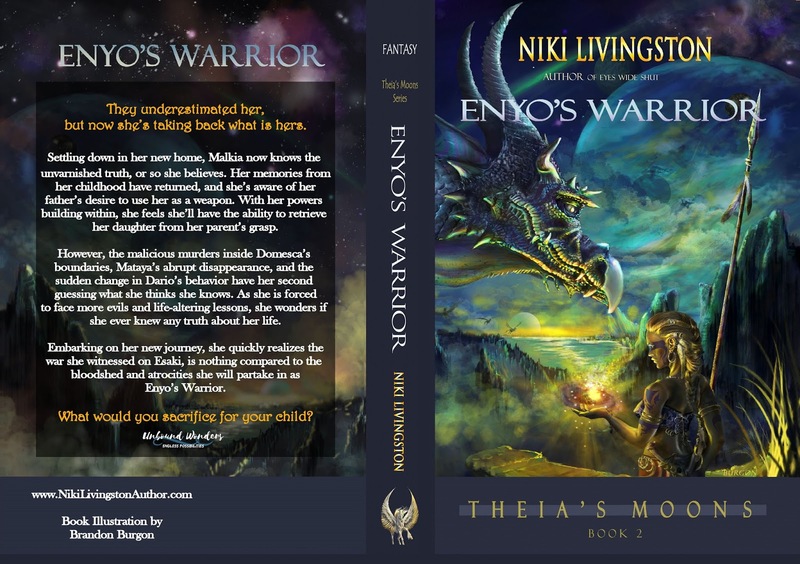 When I first sat down to write Enyo's Warrior, I knew this story would nearly break my main character, Malkia. But through this exhausting journey of hers, I wanted to create and mold a genuine warrior woman. Someone who knew heartache, deceit, failure and still rose from the ashes to fight another day. In real life, we experience our misfortunes and in the midst of the agony, we generally struggle to take that pause. For me, the weight of my problems has the ability to spin me over a cliff and during my descent I tend to focus on all the negativity, instead of spreading my wings and flying. But the moments I have let the worries go and glide free with the wind, I am reminded of my own strength, will-power, and resilience. And we all have it within ourselves. There are no exceptions. It is our choice to be weak, or to conquer our own demons. The pause is a crucial moment in each of our life journey's. “Just like most people who know your father, she wants to be his favorite. She wants his love and acceptance and is on his side, because she is weak. She was never the strong one. It was always you, and your father resents you and me both for that." Palma is Malkia's blood sister and best friend from their life on Esaki. The moment Malkia discovers her betrayal was a pivotal point in her story. Sometimes the ones we love the most, are the most toxic force in our lives and it's okay to walk away from them, especially if it means protecting yourself. Unfortunately, life does throw curve balls. It’s inevitable. And sometimes, we forget how bright our light shines within, while dealing with the madness of our lives. Distractions. People who don’t have our best interest in mind, tugging us away into the drama and chaos. Addictions. Wolves in sheep’s clothing. And so much more. These external and internal battles can be exhausting, but we all have the power to choose how we respond. We can change our stars. Shift our attitudes. And evolve to a higher frequency. It’s within us all, just like Malkia is painfully learning. And more often than not, it’s our own torment that brings us to an evolved and higher vibration. For me personally, I'm still on my journey. There's always room for growth and transformation, and I don't have life figured out, nor do I believe I'll ever fully understand the mysteries of our human lives. 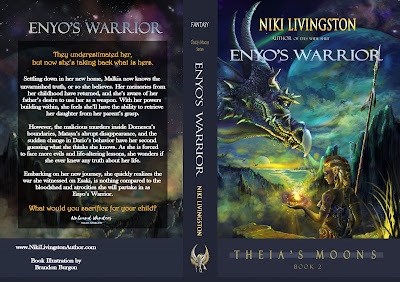 But my stories hold the wisdom from my experiences, failures, and triumphs and will hopefully be a beacon of light to those who choose to hear the lessons that are told from the fantasy arena of Theia's Moons.